The olive groves located at Sierra de Segura (province of Jaén, Spain), in which the Picual variety is the most commonly, produce olive oils with Designation of Origin (DO) Sierra de Segura. 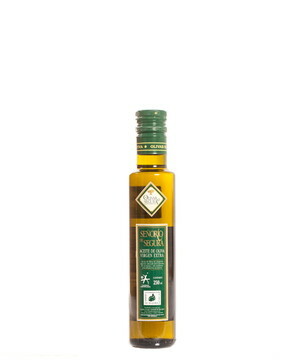 The characteristics of these olive oils come from the environment in which they are produced: high mountain olive groves mixed with pine woods. Its colour is yellow-greenish and the aromas prevailing are fruity (apple and tomato, preferably) and fresh grass aromas which are combined with the typical bitter and pungent flavour of the Picual variety. 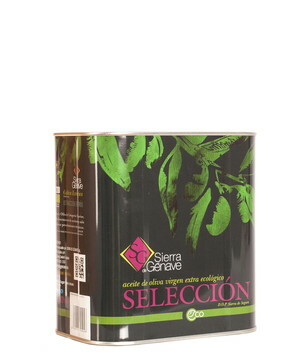 Olive oils qualified by the Regulatory Council of the DO Sierra de Segura are extreme quality oils. They are extra virgin olive oils with low acidity (it does not exceed of 0.5º), below the permitted acidity for extra virgin olive oil (0.8º). 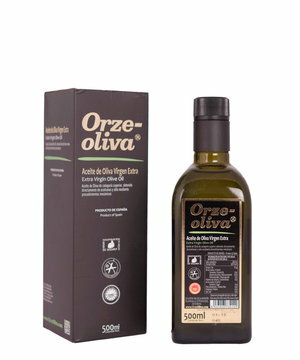 Our olive oil is a completely natural fruit juice, without additives or preservatives. The responsible of its bitter and pungent flavour is the high content in vitamin E and polyphenols. Besides, they give them a great stability which is translated into a great resistance to rancidity. Due to this high resistance to oxidation, the olive oils of Sierra de Segura keep unalterable its chemical and sensory characteristics during a long period of time. This product is rich in oleic acid and antioxidant substances which have beneficial actions on our health such as reducing cholesterol levels and gastric acidity, preventing cardiovascular diseases, healing gastric ulcers, protecting internal organs (pancreas, vesicle or liver, among others), regulating intestinal transit and reducing constipation, and invigorating the skin. Olive oil must be kept in a cool, dry place with room temperature (15-20º C) in closed containers, protected from air and direct sunlight.